Part of the architectural brief was to design a building so unique that it could be drawn by hand in 5 seconds and be easily recognised. The design can be seen almost replicated in Donald Trump's Ocean Club in Panama. 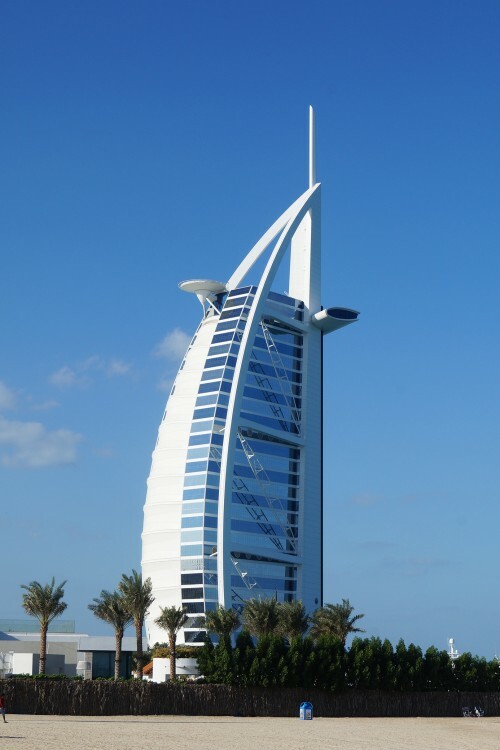 In 2008 the contractor sought a court protective order to prevent the owners of the Burj Al Arab from threatening a lawsuit over the design. The 182 metre high atrium takes up one third of the interior space. The hotel is home to the Al Mahara underwater restaurant where diners are surrounded by a floor to ceiling aquarium. This is the tallest operating hotel building in the world (not counting mixed-use buildings like Jin Mao Tower in Shanghai or the unfinished Ryugyong Hotel in Pyongyang, North Korea). All the hotel's 202 rooms are two-storey suites, ranging in size from 170sq m (1,830sq ft) to 780sq m (8,396sq ft). The atrium is 180 metres high, one of the tallest in the world. 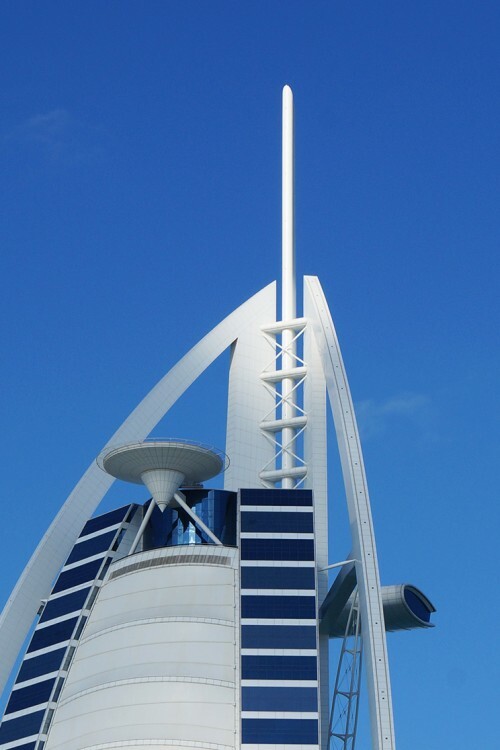 The Al Muntaha restaurant is located 200 metres above the Persian Gulf, offering great views of Dubai. It is accessed by a panoramic elevator. The hotel has a total of eight restaurants and bars. 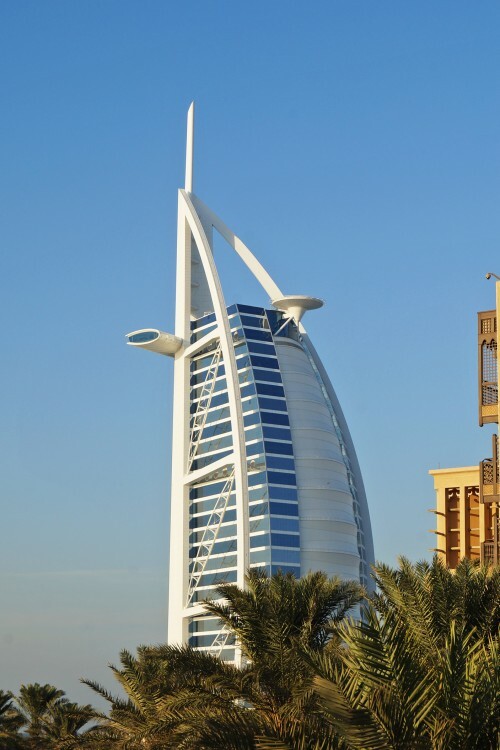 The building's design is influenced by the profile of an Arabian sailing ship. The building's external lighting schemes, from white light to a multicoloured one, change from one to another every 30 minutes expressing the evening's progress. 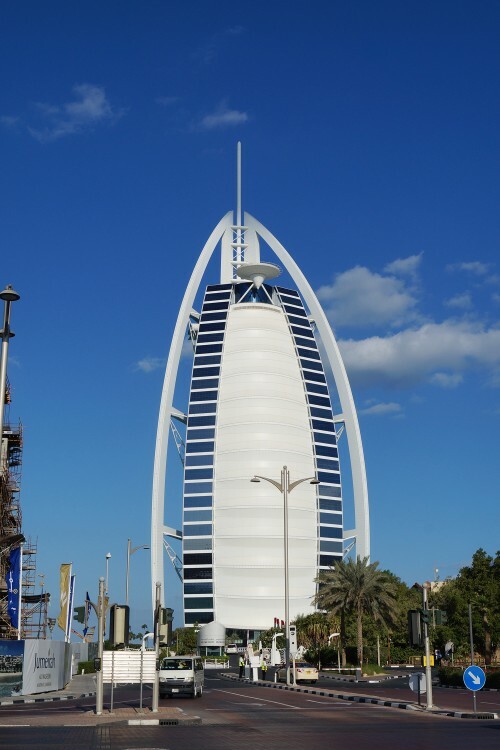 Burj Al Arab is the world's tallest structure with a membrane facade. A 24-metre (79-foot) wide helipad projects from the building 210 metres above the ground. 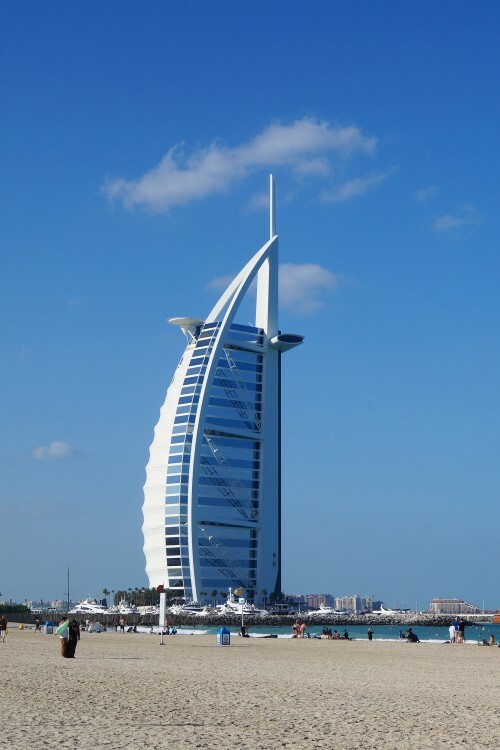 'Burj' is Arabic for 'Tower'. The 'Assawan Spa' is situated on the 18th floor.